On PCs, the BIOS (Basic Input/Output System) is updatable computer firmware designed to initialize the computer during start prior to handing control to the operating system. Due to the sensitive nature of the system settings controlled by the BIOS, a password can be set by either the computer manufacturer or the end-user. Some of the most common BIOS producers include AMI, AWARD, IBM, and Phoenix with many manufacturers making their own changes to the firmware prior to selling a computer on the open market. The common methods to reset BIOS password include: Generating a BIOS password using a hash code, entering a backdoor BIOS password, reset the BIOS password using software, reset the BIOS password using hardware, and resetting the BIOS password with vendor specific solutions. The computer BIOS is the first programming code executed by a PC when the machine is rebooted or turned on. The computer firmware conducts a power-on self-test of the system which is responsible for identifying system hardware and initializing components such as the CPU, hard drive(s), RAM, video card, mouse, and keyboard. Once the initialization task is complete, the BIOS checks the boot devices in order of configured preference (traditional default setting is the computer’s hard drive). 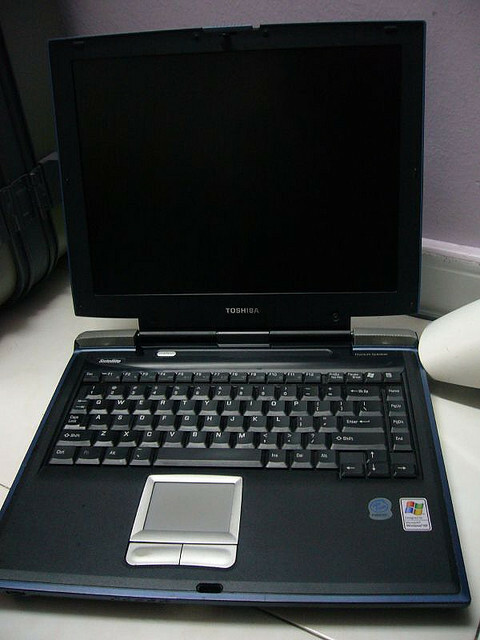 The boot loader software is executed by the BIOS once located, and control of the computer is then passed to the operating system. Functionality that can be changed by the end-user through the BIOS user interface (UI) include setting the system clock, enabling or disabling system hardware, configuring hardware, enabling or setting passwords, and choosing the order of boot devices. Although the BIOS was originally stored on a ROM (read only memory) chip on the computer’s motherboard, today’s computers will store the firmware in flash memory or EEPROM chips that can be updated after the computer has been sold. Once Intel started producing chips for use on non-PC hardware such as Macintoshes, a successor to the legacy BIOS system was required and is called the Extensible Firmware Interface (EFI). Although EFI provides a number of improvements over the traditional BIOS, it has not yet gained market dominance on PC’s. Is There a BIOS on Mac OS X? Prior to the production of Mac computers using x86 or Intel chips during the later portion of the 2000’s and their use of EFI, OpenFirmware was the BIOS equivalent on all Macintosh computers. OpenFirmware provides similar functionality on a Mac as the BIOS and EFI do on other computing systems. It conducts tasks such as locating attached or installed hardware and uses environment variables to direct the boot process for the Mac. To access the interface for OpenFirm, press the power button on the mac for about 10 seconds. While pressing the power button, simultaneously depress the “CMD,” “OPT,” “O,” and “F” keys once you hear an audible “chime.” Once you are done with the required modifications in OpenFirmware, exit the interface by typing “bye”, “boot”, or “mac-boot” (depends on the version of Mac computer you are using) followed by pressing the “return” key. A lot of the major computer manufacturers use a master password generated from a hash code to reset the master BIOS password. This hash code is normally calculated from a unique equipment identifier such as the Serial Number, Service Tag, System ID, or Express Service Code. On many brands of computer, the identifying code will be displayed after the BIOS password has been entered incorrectly three times in a row. On other brands, it may be printed on the computer. On some HP models of computer, the hash code will only display if the “F2” or “F12” keyboard function key is press prior to entering the incorrect password a third time. In addition to creating a BIOS password from a hash code, a number of BIOS manufacturers also implement an explicit backdoor password. This password will work regardless of the presence of a manually set BIOS password. The primary purpose of a manufacturer’s backdoor BIOS password is for maintenance and testing evolutions. These passwords are changed periodically by the respective company and success will vary across brand and age of computer. AMI A.M.I., AAAMMMIII, AMI?SW , AMI_SW, BIOS, CONDO, HEWITT RAND, LKWPETER, MI, Odor, and PASSWORD. Award BIOS ,01322222, 589589, 589721, 595595, 598598 , ALFAROME, ALLY, ALLy, aLLY, aLLy, aPAf, award, AWARD PW, AWARD SW, AWARD?SW, AWARD_PW, AWARD_SW, AWKWARD, awkward, BIOSTAR, CONCAT, CONDO, Condo, condo, d8on, djonet, HLT, J256, J262, j262, j322, j332, J64, KDD, LKWPETER, Lkwpeter, PINT, pint, SER, SKY_FOX, SYXZ, syxz, TTPTHA, ZAAAADA, ZAAADA, ZBAAACA, and ZJAAADC. 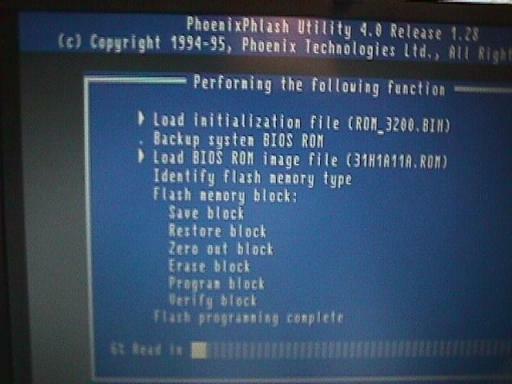 Phoenix BIOS BIOS, CMOS, phoenix, and PHOENIX. 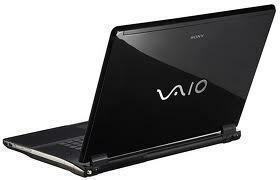 A popular option for end users to reset the BIOS/CMOS password is to use third party software. One of the most common methods to reset the BIOS password is to remove or discharge the battery on the computer’s motherboard. If the power to the battery is lost or drained, the BIOS configuration will be reset to the factory state with no password. System settings made to the BIOS will also be lost. Step 1 – Turn off the computer and ensure it has no external power (ie unplug the power cable. If it has a battery, remove it). Step 2 – Open the computer’s case or box. Step 3 – Locate the computer’s motherboard and look for the white silver button battery on the motherboard. Step 4 – If the battery is not soldered to the motherboard, remove it carefully and wait for approximately 30 seconds. Step 5 – Put the computer case back together and boot the computer. Step 6 – If the “CMOS Checksum Error-Defaults Loaded” error message is displayed, the BIOS password has been reset. In the event the CMOS battery is soldered to the computer’s motherboard, you will want to seek a different method to reset the BIOS password on the computer. If the CMOS battery is soldered to the computer’s motherboard, some brands will have a jumper located on the board that can be used to reset or clear the BIOS password. The location of the jumper on the motherboard will be contained in the motherboard documentation. If you can not find documentation on which jumper will reset the BIOS password, some users will guestimate on which jumper is the appropriate by choosing the one closest to the battery for reset. Another option is to short the points of the battery connection pins to the motherboard (when there is no power being applied to the computer). If the RTC contains an integrated battery, it can typically be reset by shorting two of the pins for several seconds after power has been removed from the system. For information on how to recover a Dell BIOS password, please refer to How do I reset Dell BIOS password? For information on how to recover an IBM Thinkpad BIOS password, please refer to How do I reset an IBM ThinkPad BIOS password? Some IBM Aptivas can bypass the startup BIOS password if both mouse buttons are pressed repeatedly while booting the system. For information on how to recover an Acer BIOS password, please refer to How do I reset an Acer BIOS password? Once end-users obtain the master BIOS password for the target computer, a common task to accomplish is making the computer stop asking for the password when restarted or rebooted. Step 1 – Restart your computer. Step 2 – Press the BIOS access key during computer restart (F2 on many models, Tech-FAQ listing of common BIOS access keys). Step 3 – Use the keyboard arrow keys to locate the security tab in the BIOS setup. Step 5 – Use the keyboard arrow key to navigate to the available options and press the first password setting. Step 6 – Enter the current BIOS password in the subsequently displayed menu prompt. Some BIOS types will ask for the password to be entered twice. Step 7 – Change the password setting to blank, not set, etc. Step 9 – Navigate to the BIOS “exit” menu option and choose the “save changes” menu option. Step 10 – Continue to exit from the BIOS setup and restart your computer for the changes to take effect. Please use the password generator tool above before asking for password in the comments. Hi there, I’m having bios disabled on my Samsung 450R5J after trying the password for three times I get something like “CAAD7598AB2F573BF3FC98947CA5EBA219BD4698C201“ but after entering to generate a code, I don’t get any response. 86329510 is the error code, the 2 codes given by the above generator do not work. I tried the pw generator and it gave me yundefinedqq7qgxfg. But this pw didn’t fit. Mit dem Passwortgenerator-Tool komme ich nicht weiter. I have dell inspiron 1525.is bios admin lock i need to unlock .#45FSTF1-595B, any help please . Thank you guys so much, it really work for both of my Dell 5520 (2nd hand bought that had a BIOS password). Important: I used the Ctrl+Enter to enter the code ! Hi, my Samsung NP305E5A A08US gave various system disabled numbers and each time I entered those numbers I got no response from the Password Generator. Than I noticed that the disable number had 18 numbers (ten numbers and eight zeros), which I eliminated two zeros and each time I disabled the laptop and entered those numbers in the Generator, minus two zeros, I got this number: 0000,aa, But when I restart the laptop and the system code box appears, I enter the number above but the commas won’t enter into the code. Therefore, my question is whether leaving the two zeros of the number matters? And secondly, how can I get the commas to get recognized in the code?????? I have a HP 14-ax010wm and I need to access BIOS . Do not have the password. Can you help? I have a HP Elite X2. Screen is at the BIOS Password or POST Admin password screen. Can’t get either to work and after 3 attempts it just asks to shutdown tablet. No checksum or halt code. Can;t find CMOS battery and have tried disconnecting and reconnecting battery as well. I have a Toshiba L355D laptop that is stuck on the Enter Current Password blue screen and which causes laptop not to boot. Is there a way I can retrieve password? I am working on this for a customer. I have a corei5vpro mecer proficint.DQ77MK motherboard which as bios password,I can’t even go to the bios setup when I press F2.but before it ask password there is a warning say’s chassis intrusion.what can I do. I have a Dell inspiron N5030 series which has a password authentication and It refuses to be removed! 143 queries in 0.460 seconds.